Dyeing eggs in preparation for Easter is long-standing tradition for lots of families. If you’re getting tired of the traditional method you use year after year, check out these three stunning Easter egg tutorials to switch up the method and the look of your egg creations! Naturally Dyed Eggs: No need to grab a PAAS box from the store—just head to your cupboard! This tutorial from Food 52 uses things like coffee, turmeric, and blueberries to create beautiful pastel eggs. Rice Shake Easter Eggs: Kids will love this easy method from Crafty Morning that uses food coloring, rice and eggs! Shake them all around together in a container to create a beautiful eggs that look almost like stone. Marbled Eggs: Using nail polish (any color!) 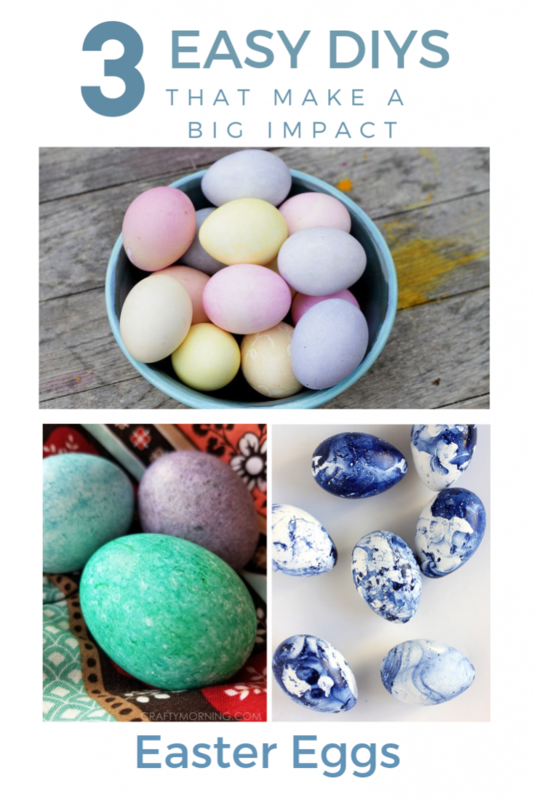 and water, you can create these unique marbled eggs from Alice and Lois that would make a stunning addition to your Easter centerpiece. Use faux eggs to make these last year to year. Changing up the method doesn’t mean things have to get more difficult. We hope these tutorials help to inspire some new Easter traditions for you! Happy Easter!